Bodega Rita’s, the Coal Drops Yard sandwich shop and deli set up by Rita’s founders Missy Flynn and Gabriel Pryce, is to launch a guest series alongside some of London’s better-known chefs. Bodega opened at the new Coal Drops Yard development in December, and serves New York-style sandwiches, pastries, and lighter dishes. Creations include pork carnitas, chipotle mayo, pink onions, and coriander, and king oyster mushroom pâté, peanut butter, pickled carrot and daikon radish. 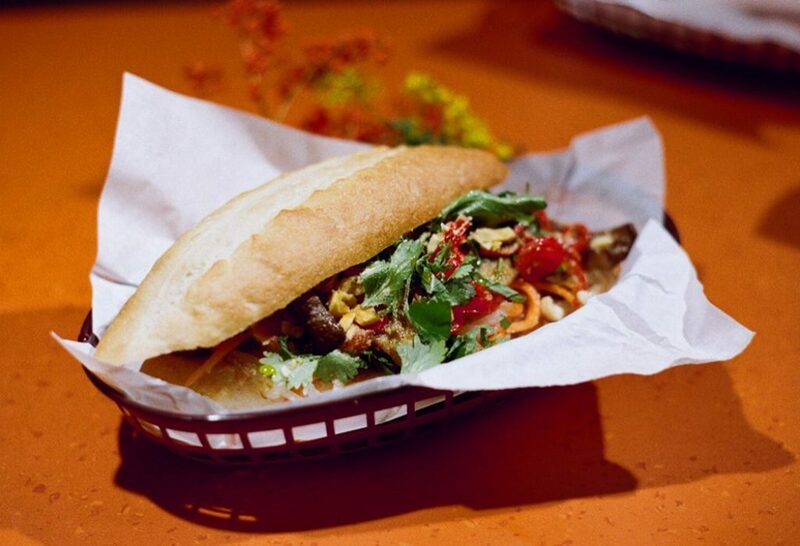 Now, the likes of Brat’s Tomas Parry, Edgar Wallace of Koya, and Anais van Manen from Bao are to come up with sandwiches of their own. Chris Leach, previously of Sager + Wilde and Petersham Nurseries, will kick off the series on Friday April 19 with his fried ciccioli and smoked apple ketchup concoction. It will cost from £15 and be available over the weekend. Leach said: “Ciccioli is an Italian pork cake set with lard. It’s really popular in Emilia-Romagna – In Bologna I had a focaccia where they put ciccioli in the dough before they bake it, this blew my mind! After Leach will come Nud Dudhia, head chef and co-founder of Breddos Tacos. His sandwich features char siu pork belly porchetta, crispy onions, misXO bagna cauda – miso and XO sauce, we can only assume – carrot-daikon pickle, chicharron, birdseye chilli, apricot sambal, and confit tomatoes. News Brat, Coal Drops Yard, Koya, Rita's. permalink.